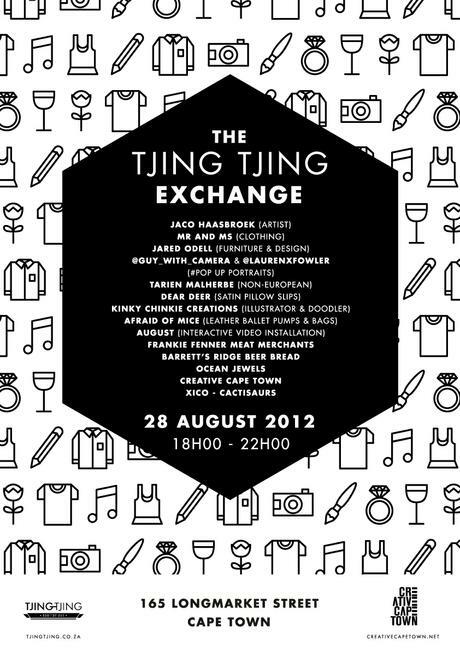 The Tjing Tjing Exchange is a creative collective ‘night market’, where innovative, talented, local designers come together to celebrate creativity, inspiration and originality. This time round, Creative Cape Town will be in attendance, to talk and network with local creatives. Dear Me will be selling pantry items along with Espressolab and Bean There coffee.